Waldorf Urban Redevelopment Corridor – Brudis & Associates, Inc.
Brudis & Associates, Inc. (BAI) was responsible for Base Overall Design and Phase I Design to upgrade the Waldorf Urban Redevelopment Corridor (WURC) section of Old Washington Road to meet the county’s redevelopment effort of the 300-acre WURC zones and the restoration goals of the county’s Municipal Separate Stormwater System (MS4) National Pollutant Discharge Elimination System (NPDES) permit. 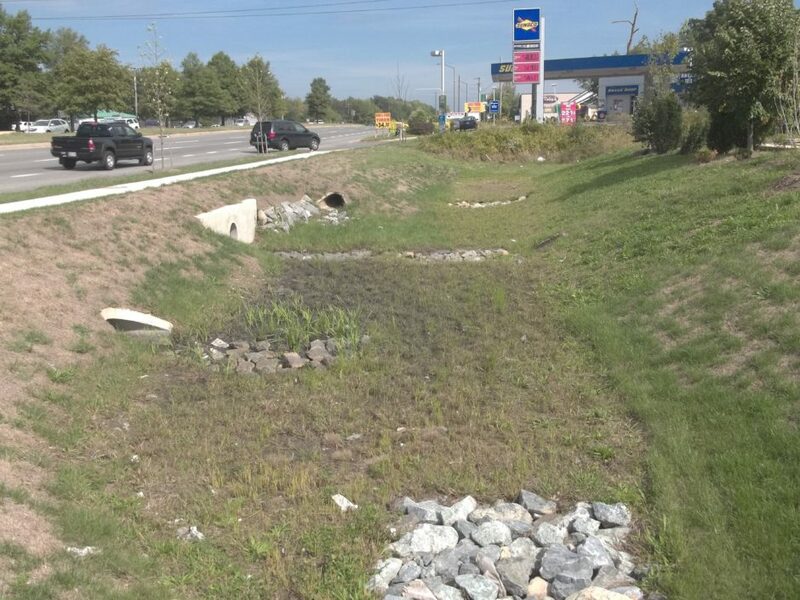 BAI prepared a stormwater management master plan for approximately a two mile stretch along Old Washington Road, and developed a base concept design to determine the feasibility of designing Old Washington Road as Green Street and maximizing the stormwater management for the full drainage watershed. Based on the concept design, BAI developed detailed design plans and acquired the associated permits for Phase 1, which encompasses approximately 2,600 linear feet along Old Washington Road from MD 5 Business to Railroad Place. 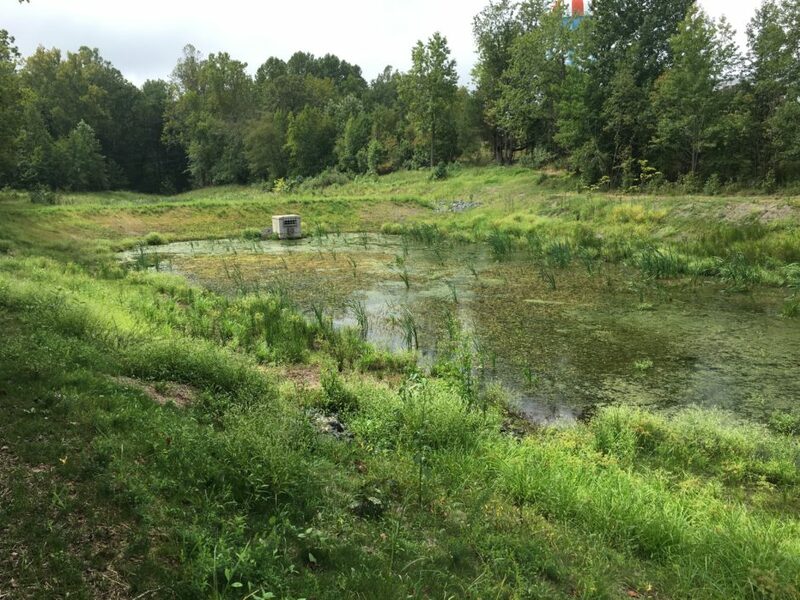 BAI utilized the vision plan developed by the County and provided design guidelines, to select potential BMP sites for private and public development zones across the corridor. 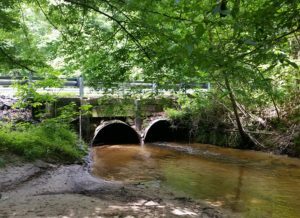 The goal was to provide the County a framework for stormwater management and drainage improvement within the corridor for future development as well as the county’s roadway improvement project along Old Washington Road. Stormwater Management Master Plan. 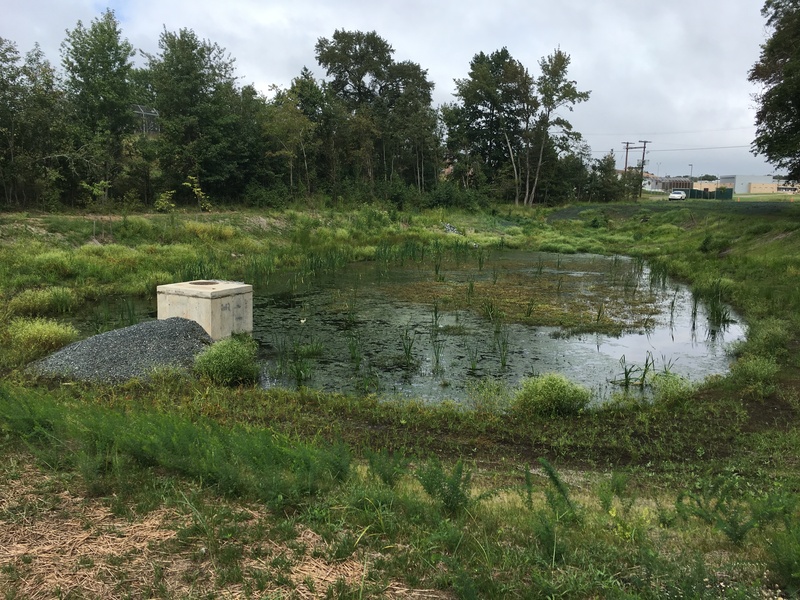 With detailed field study and desktop analysis, BAI prepared a Stormwater Management Master Plan by implementing a combination of Environmental Site Design (ESD) and SWM Ponds practices to meet both water quality and quantity treatment requirements for the development corridor. 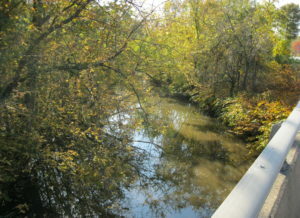 The master plan was divided into sections for Private and Public development to meet the water quality requirements separately. 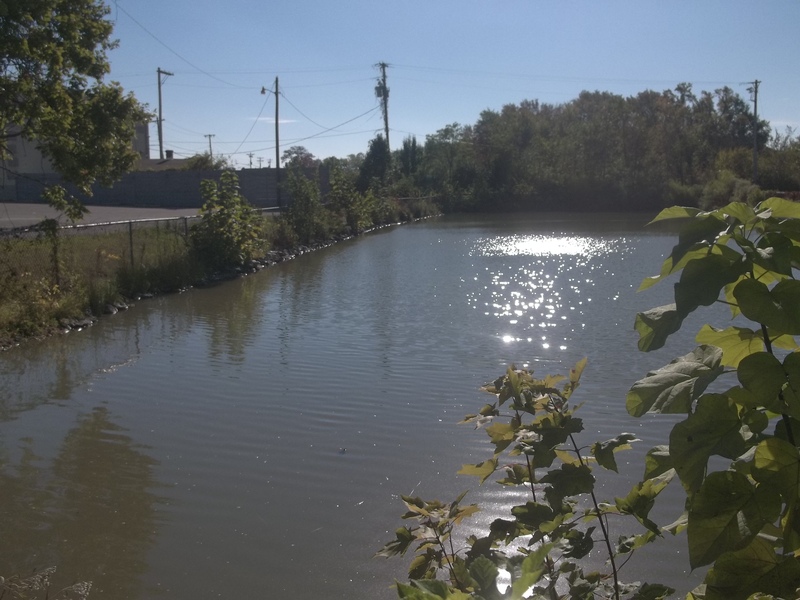 The quantity requirements were met for each Point of Investigation (POI) through use of existing/proposed regional stormwater management ponds in the related drainage basin. A number of existing stormwater management ponds were retrofitted to achieve additional quality and quantity treatment goals. The project was considered to be a new development and a full treatment of 2.5 inches Pe was implemented to achieve reduction rates of 52% Total Phosphorous, 72% Total Nitrogen, and 83% Sediments. Efforts were also made to optimize the master plan by adopting a minimum possible changes to the existing condition of development corridor. After the Stormwater Management Master Plan was completed, the detail design of phase 1 development was developed. BAI has submitted a SWM Master Plan Report, Drainage Area maps and CAD Drawings for the project. Total cost of the master plan was estimated to be $13,791,870 and the cost per acre impervious area treated was $53,056. 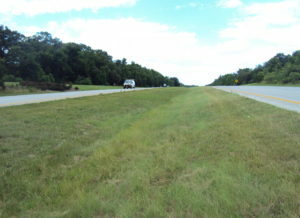 An overall Impervious Acres credit of 316.39 Ac was also estimated from the master plan.